If you are against animal testing like I am, you are going to like this news. Israel banned testing on animals in 2007. Even better, they have banned the import on products that have been tested on animals! As of January 1, 2013, Israel has banned the import, sale and marketing of cosmetics, personal care and household products that have been tested on animals! India is working to do the same. The European Union has also been phasing out animal testing since 2004. There are 27 countries in the EU, by the way. On March 11, 2013, the ban is supposed to take full effect but unfortunately, there seems to be talk of extending the cut off. 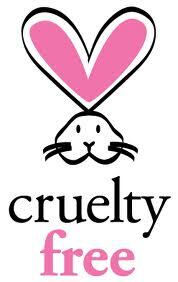 It is important that the EU bans animal testing to put pressure on the cosmetic manufacturers to stop testing. If imports of animal tested products were banned, just think, Proctor and Gamble would not be able to sell their Olay products in Europe. Large animal testing companies would be forced to stop testing. Read more on this story and find the link to let Tonio Borg, the European Commissioner, know that you support the EU ban on animal testing at the link below. Croatia is due to become the 28th member on 1st July 2013. Share this post to help stop cosmetic testing on animals!